Home » The Forum » Snowshoe Western Territory Expansion? I’m a Snowshoe pass holder who lives 2 hours away. Luckily, that’s close enough to day trip it. I only ski the WT when I go and don’t bother with the rest of the mountain, outside of getting back and forth to the day parking lot. I understand the DNR and environmental issues, but the WT side of the mountain just has so much potential, even for the Shoe’s coveted green & blue skiers. All the basin side trails are, IMHO, terrible. Too short (way too short), too crowded, & too quickly skied out. It would seem that Snowshoe now has an opportunity to capitalize on Timberline’s unfortunate demise and do what it takes to create more really good top-to-bottom fall line runs with 1000+ vertical. Throw in some glades and suddently you’ve attracted all of us former Timberline fanatics and other people who might choose the shorter drive(s) to Whitetail or Wintergreen. That’s win-win in my book. They scan passes to see who is paying for what that’s why they offer a discount on food and lodging - data mining. An expert skier who comes and goes without spending any “extra” money at the resort is not their prized customer. You mentioned above that you are in and out and I think that is awesome and I would do the same if I could. I do not think TL fanatics are in their plan. That’s not a knock on TL fanatics. I believe that group is a different group than what SS is targeting. I believe that group are dire hard skiers looking a challenge. I applaud them. Excellent folks with passion. I took my friends for their 2nd annual SS trip this weekend. “They” are the crown jewel IMO. Dropped tons of $$ on rentals for a family of 4 plus lift tickets. 2 nights out at SS owned places for lunch and dinner. There are millions of “them” out there. SS knows their place in the market. SS markets themselves as Disney World Skiing in the MIdatlantic and does it very well. We all look at the webcams. SS is packed every weekend and we all complain. What has changed in 14 years? Great summary. I guess it is what it is. Thanks for digging this up! Man I was cranky back then :) but I was so fed up with Intrawest. Any thread with Mountain Masher and Jimmy in it is worth the read. The only meaningful update from me is that I actually held true to my word, I have not been to Snowshoe since. I really do need to try to make it back there sometime to see what has changed. Haha wonder what ever happened to Mountain Masher. I hadn’t been to Snowshoe for two or three years myself but with the demise of the ski area formerly known as Timberline and the Ikon Pass, i have had the opportunity to ski Snowshoe a bit this year. One day in December when they were still getting open and spent most of last Sunday there. The Soreing Eagle chair about wore me out, crowds at the bottom of Ballhooter aren’t too bad on a Sunday this time of year and right now the coverage on Cupp Run and Shay’s Revenge is amazing. I got down the flats to the top of Lower Shays and for a brief moment I thought i was at Snowbird. 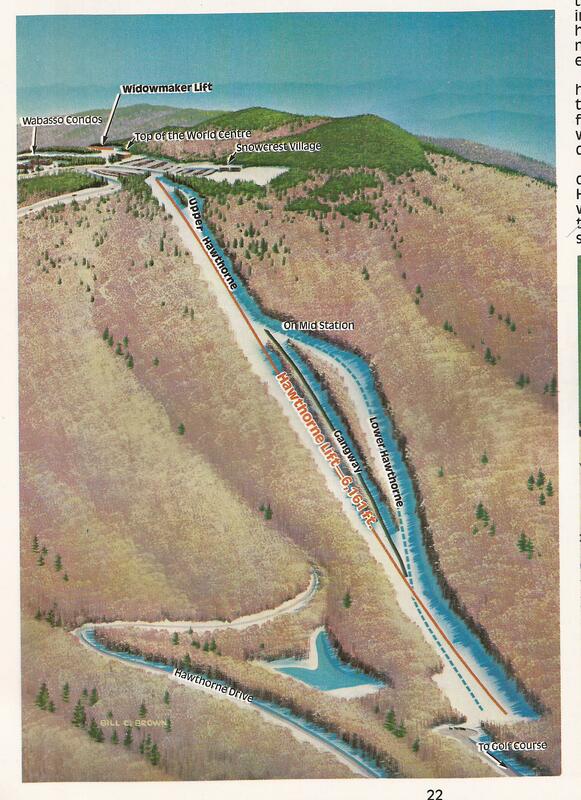 I might go back again this weekend, best skiing in WV right now, guaranteed.